Friedrich Nietzsche was one of the most revolutionary thinkers in Western philosophy. Here he sets out his subversive views in a series of aphorisms on subjects ranging from art to arrogance, boredom to passion, science to vanity, rejecting conventional notions of morality to celebrate the individual's `will to power'. Throughout history, some books have changed the world. They have transformed the way we see ourselves - and each other. They have inspired debate, dissent, war and revolution. They have enlightened, outraged, provoked and comforted. They have enriched lives - and destroyed them. Now Penguin brings you the works of the great thinkers, pioneers, radicals and visionaries whose ideas shook civilization and helped make us who we are. Friedrich Wilhelm Nietzsche (1844 -1900) was a nineteenth-century German philologist and philosopher. He wrote critiques of religion, morality, contemporary culture, philosophy, and science, using a distinctive German language style and displaying a fondness for aphorism. 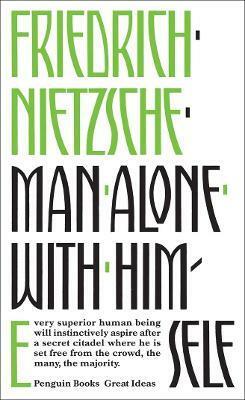 Nietzsche's influence remains substantial within and beyond philosophy, notably in existentialism and postmodernism.